In my YA novel-in-progress, RUNAWAY, the teen characters participate in art therapy at a runaway shelter. Zentangle and other forms of doodling have a mediative, healing quality, providing a way to unwind, release stress, and create without judgement. 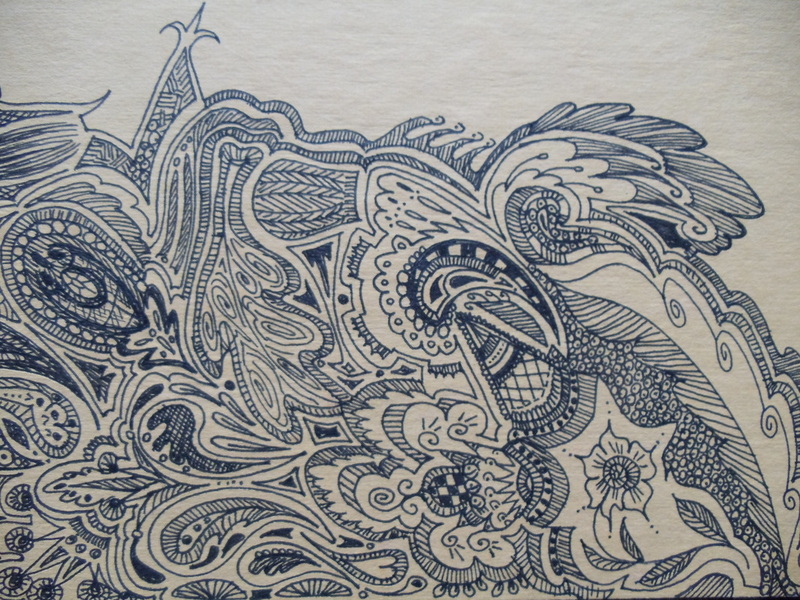 Learn more about this meditative art form at the Zentangle website. Doodling can improve focus and memory, provide a way to express feelings, and open a window of creative insight. Read more here. Browse the images below, and contribute your own. I'd love to share your creations! These doodles were created by my friend, talented author and artist, Vicky Lorencen. The following Zentangle designs were created by art therapist and teacher, Samm Wunderlick. See more at http://www.wunderrec.com/.